The iPower comes with an ultra-large battery capacity of 5000mAh in a compact design, which can last you for a remarkably long time at any power setting. Not only does it apply the new firmware with Smart mode and custom logo, the iPower also has a fashionable looking and comes with many attractive colours for your options. 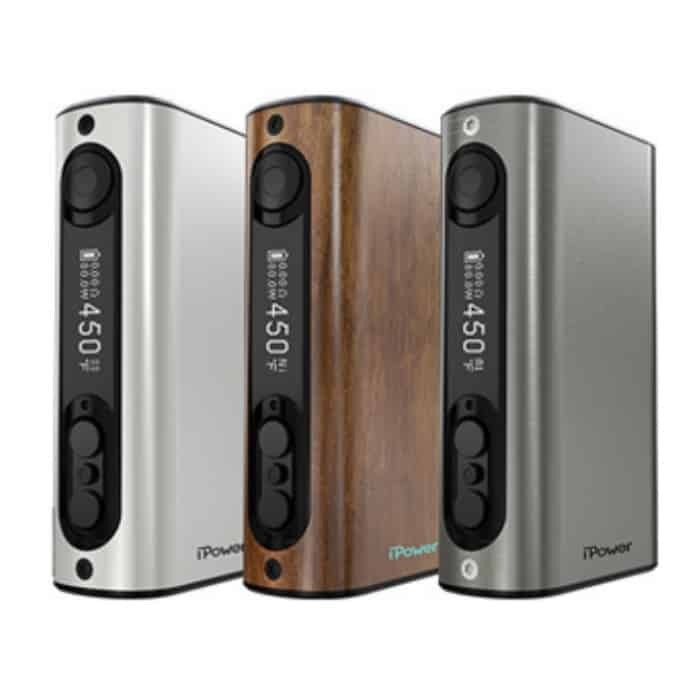 The iPower comes in a compact design with an ultra-large battery capacity of 5000mAh. Due to the nature of this product, there is no warranty. This product is for experienced users and requires technical knowledge in order to properly use it. It was a dark and stormy night in africa. the leaves howled and the wind rustled. there was neh a light to be seen except the glow from a faint LED screen that is the IPOWER 80W. Loadshedding was so hectic my wife couldn’t see to light a smoke. but I had my Ipower. Batteries for days. amazingly strong and sturdy device. My first device and my go to device each and every day! I haven’t found anything to compare it with. When I began my vape journey the guys at VapeAfrica recommended this little gem and I honestly thought it was just a standard old non-descript little box mod. now, 6months later its still ramping like a beast. I own an Aegis mini and a Uwell Nunchaku and the iPower beats them both hands down; id sell all my mods and keep the iPower.